Theme release 4.1 allows adding any custom font via Theme Settings -> Typography – > Custom Font. All you need is to prepare a set of font files which you can generate for free on Online Font Converter. You can convert from pfa, pfb, pt3, sfd, ttf, otf, otb, t42, cef, cff, gsf, ttc, svg, ik, mf, dfont, bin, suit and bdf. Online Font Converter allows uploading a source file both from your PC and from a link. 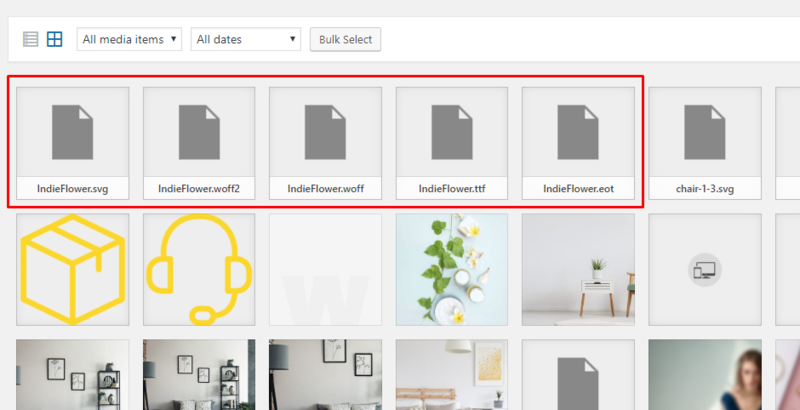 You will need to check the files format which you need and press “Select the file”, then you upload the file, and download an archive. Your next step is to upload these files to your Media Library. 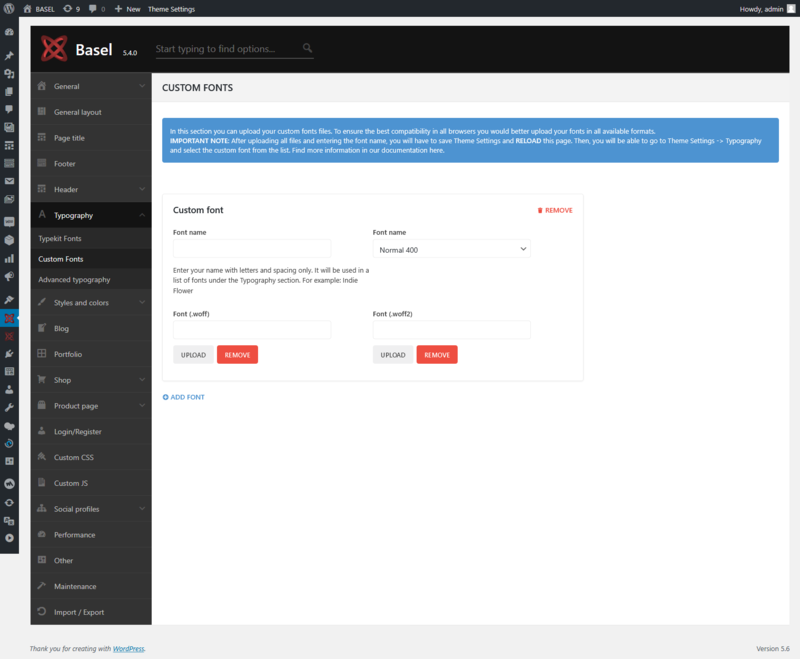 And finally, you navigate to Theme Settings -> Typography – > Custom Font, fill out Font | Name field and upload each file type from Media Library. It is necessary to upload all the file types: .woff, .ttf, .eot, .woff2, .svg! 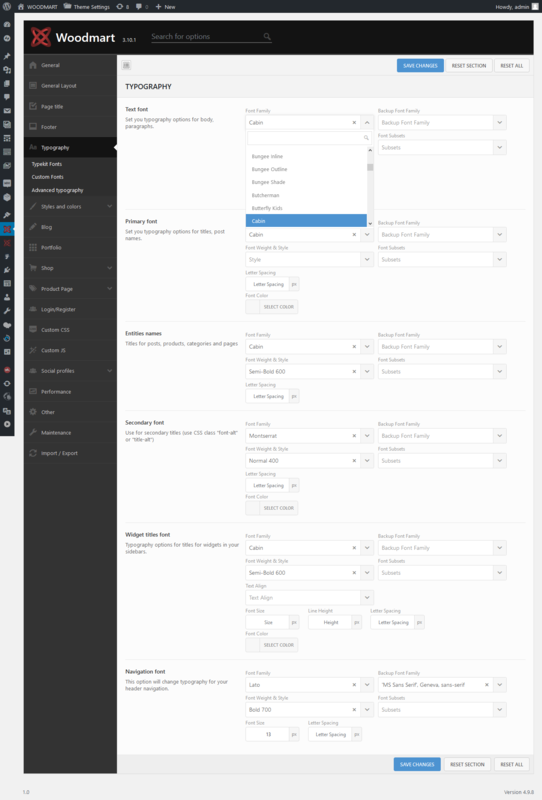 As soon as you fill all the fields out, save the settings and reload the page so that your custom font would appear in the drop-downs of Theme Settings -> Typography. In order to set a custom font on your site, you navigate to Typography and choose your custom font from the drop-down list.